Here's what people are saying about Israel The Lord's Chosen People. "A prodigious and seminal work, very scholarly, doctrinally sound, highly readable. A panoramic view of the plan of salvation is presented in which the role of Israel and their special relationship with the Savior is broadly and deeply explored. The book is heavily laced with important and authoritative quotes from the scriptures and the prophets. These references are seamlessly woven together with narrative that is very well written, making the whole highly readable. My reading experience was both intellectually rewarding and spiritually satisfying. 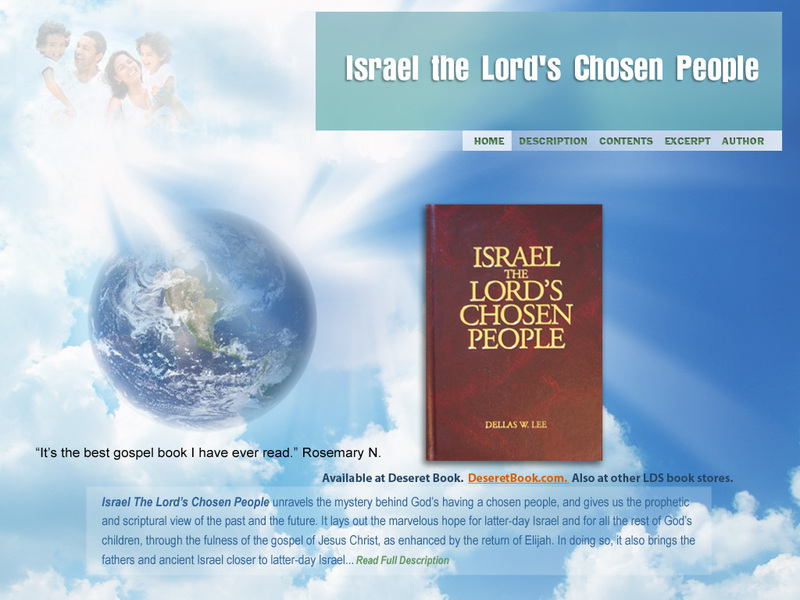 "Israel, God's Chosen People" occupies a special place in my gospel works library. I give it a five star plus, rating." - Jay B. Jensen, M.D.